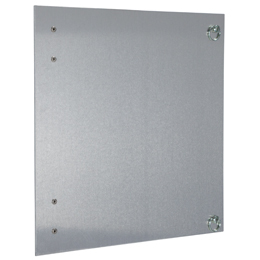 Wireless friendly NEMA Type 4X polycarbonate and fiberglass enclosures protect from dirt, dust, grime and vandalism. 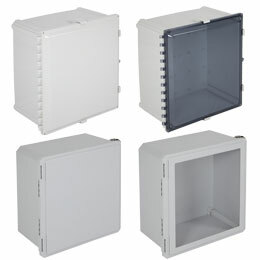 Waterproof multipurpose lockable polycarbonate or fiberglass enclosures. 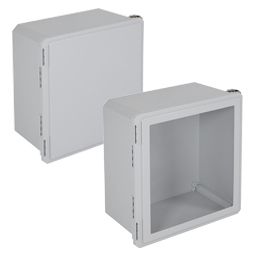 NEMA Type 4X, IP66 Wi-Fi friendly enclosures. 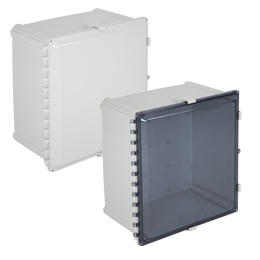 Waterproof non-metallic lockable fiberglass enclosures are cost-effective, resistant to chemical agents, and help guard against harsher environments. Waterproof non-metallic polycarbonate enclosures are durable, aesthetically pleasing and impact resistant to help guard against damage. These various accessories allow EnviroArmour fiberglass enclosures to be built to specific needs. These various accessories allow EnviroArmour polycarbonate enclosures to be built to specific needs.